LG G6 and Galaxy S8 are going to few most interesting flagship phones this MWC. Both phones are just couple of weeks away from their official release. And most of you are looking for an upgrade from your previous device. So, you guys are particularly interested in seeing a head to head comparison. 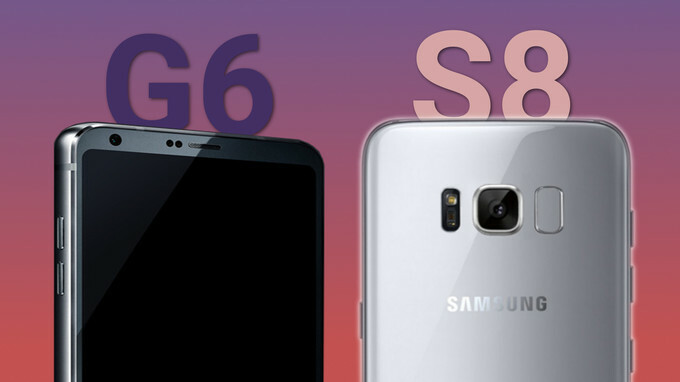 Here we are going to compare Galaxy S8 vs. LG G6 with all known specs and features. Taking from the latest rumours of these devices, this year we are going to see bigger display phones no matter its Samsung or LG. We are not going to settle anything below 5.5 inch this year. Although its difficult for smartphone manufacturer to share same rectangular piece in different shapes every year. But this we are going to see some interesting. 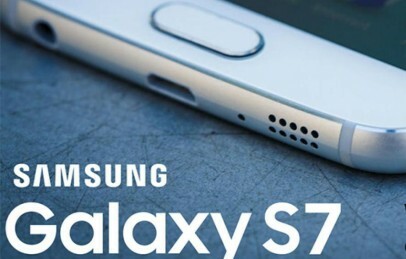 Samsung Galaxy S8 is rumoured to come with completely different design from S7 Edge. Its going to have larger display, minimum bezels and also we are not going to see home button from now. While at the other hand LG will focus on a hybrid kind of design as we have seen last year with LG G5. But unlike LG G5 failed last year, G6 will not disappoint LG. Yes, LG G6 is rumoured to features high performing specs and improved features more and will be better flagship than S8 & S8+. 1.5 Conclusion: What you think? LG G6 or Galaxy S8! 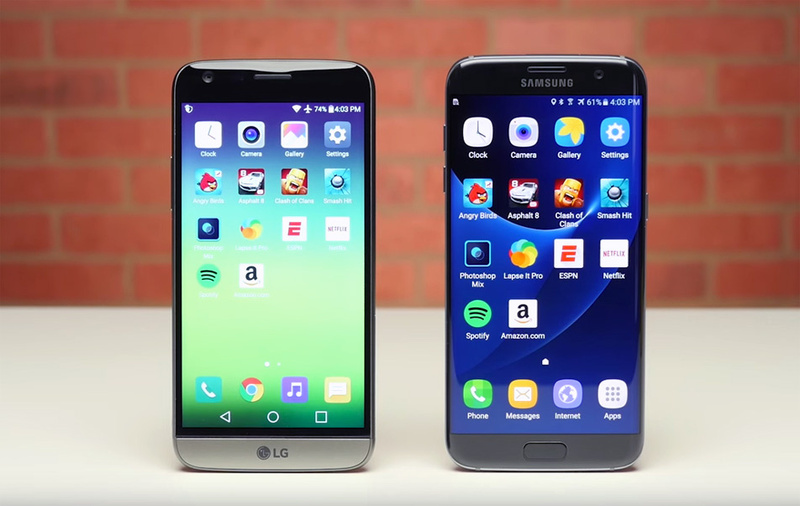 Below we have complete head-to-head comparison of Galaxy S8 and LG G6 smartphone. The below specs table is based on the present rumours and leaks which may be concern of change with official specs. But we don’t think there will be many changes in future. Samsung has already given hints last month that they will use New Super AMOLED displays in Galaxy S8. Its going to be a 5.8 inch large smartphone with 1440 X 2960 resolution and will have Adreno 540 GPU (~568 ppi pixel per inch). While the LG will use same IPS LCD that we have seen with LG G5. However G6 will also come with 5.7 inch large display (1440 X 2880 pixels) which is quite competitive. But Surely Samsung is better side when it comes to display. Samsung will come with IP68 Standard water and dust resistance while LG G6 will still remains on IP67 Standards. Both phones will be protected by Corning Gorilla Glass 5 and will feature Always-on-Display. LG G6 will be powered by same processor that we have seen last year with 6GB of RAM. Whereas at the other hand Samsung will use its in-house Exynos 8895 or recently launched Snapdragon 835 SoC which is really a great move. And this will really positions Galaxy S8 at win win situation. But S8 will come with only 4GB RAM. Samsung will have dual 12MP f/1.7 aperture primary camera and 8 mega pixels front camera. Talking about LG G6, it will boast a 16 MP f/1.8 aperture back camera and 12 MP secondary camera. Commenting on camera features, we may think Samsung may be better side to go with but don’t forget LG G5 camera that has amazed many of us due to amazing picture taking capabilities with its friends. Unlike Apple iPhone 8 both these LG and Samsung Flagship will include a 3.5 mm jack, v3.1 USB and Type-C reversible connector. Conclusion: What you think? LG G6 or Galaxy S8! Well, concluding the best flagship phone from these two giants is quite complicated right now. Both phones offers large display, powerful specs, and pretty good camera as well. But still we think Samsung may be better choice to go with. But it all depends on what your uses and how you are going to utilize these features. For now, Galaxy S8 is going announce on March 29 in New York. Whereas LG will launch its G6 flagship at MWC event which is going to held in Barcelona from Feb 27 – March 2. We are going to update you with more details of these devices here. You can subscribe us to get exclusive news and updates regarding these phones. Also if you have anything to say then feel free to leave your comment below and before leaving don’t forget to like and share us using below social buttons.